Kevin was born April 26, 1965, to Janet and Joseph Valentine Knipfing. He attended Cortland University where he played fullback on the football team while majoring in sports management. He realized after 3 years that this wasn't the path for him. After returning home, he decided to go back home and to break up the monotony of the summer, he joined a community theater. 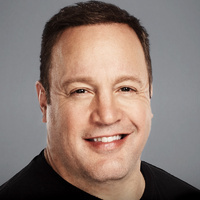 During a play in which he had a comedic role, he so enjoyed the crowd reaction, that he joined his brother's (comedian Gary Valentine (I)'s) improv group. He began going to clubs with Gary and realized he, too, had the knack for comedy. He has performed standup up for about 11 years. It was on the comedy circuit that he met Ray Romano (I). While Ray was getting a big break with his own sitcom, Kevin was getting recognition on "Star Search" (1983). After appearing on "The Tonight Show with Jay Leno" (1992), his big break came at the 1996 "Just for Laughs" Montreal Comedy Festival. Afterward, he landed a recurring role on Ray's sitcom, "Everybody Loves Raymond" (1996). 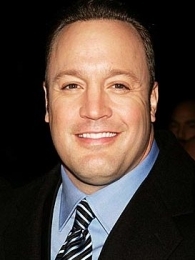 He has since received his own sitcom "The King of Queens" (1998). Attended Cortland University, along with former wrestler and current best selling author 'Mick Foley (I)' (qv) (with whom he also attended high school). He was raised in Stony Brook, NY, and graduated from Ward Melville High School (Long Island, New York) in 1983. One of his wrestling teammates at Ward Melville High School was future WWE star and author 'Mick Foley (I)' (qv) ("Mankind"). He also attended Cortland University with 'Mick Foley (I)' (qv). Claims to have run a 4.6 sec. 40-yard dash in high school. Is an avid golfer and fan of the Ultimate Fighting Championship. He met his wife on a blind date arranged by his interior decorator. In June 1999 and 2000, he hosted the Florida Sports Awards, the official sports award show for the state of Florida, in Jacksonville, Fla. This event raises funds for the Otis F. Smith Foundation. Born to Janet and Joseph Valentine Knipfing. His big break came in 1996 when he won at the "Just for Laughs" Montreal Comedy Festival.